One of the most vital aspects of the Star Wars canon is that it gives 99 percent of the population something to talk about when all else fails. Almost everyone has an opinion on whether Return Of The Jedi was better than Empire Strikes Back, for example (for the record, it wasn’t). That’s what helped make Kevin Smith’s first feature Clerks such a big indie hit, as it showed regular schmoes debating the same stuff we all were in dorm rooms and at the local watering hole. At one point Clerks leads Randal and Dante discuss the relative merits of Episodes V and VI, with Dante making the case for Empire’s downer of an ending, as it mimics the series of down notes in actual life. Although Randal cites blasphemy, Dante maintains that all Jedi had was “a bunch of Muppets.” The two then launch into an in-depth discussion of the culpability of the contractors working on the rebuilding of the Death Star, and whether they deserved to get blown up along with the rest of the Imperials. Highlighting the movie’s pop-culture obsession, Smith scores this scene with an unfamiliar song with a refrain that sounded immediately familiar. 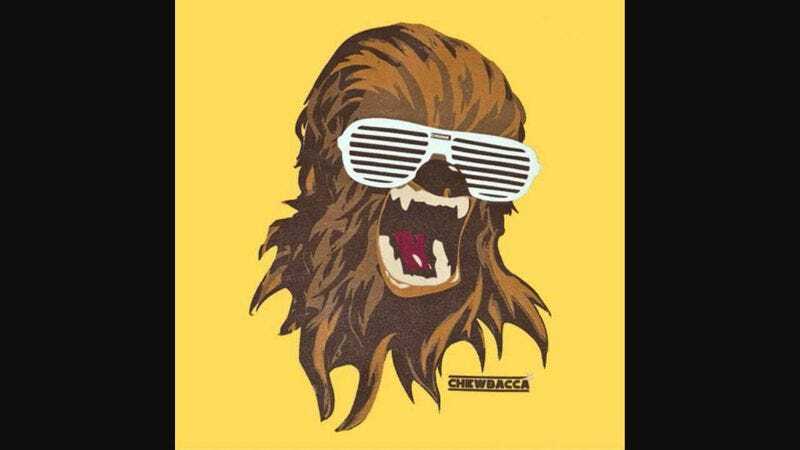 Supernova’s 75-second track “Chewbacca” doesn’t consist of much else than our favorite sidekick’s name, plus some growls and the honorific refrain, “What a Wookiee.” But the chugga-chugga guitar line seems like it would be the perfect theme for Chewie as he follows Han down Death Star hallways, and co-pilots the Millennium Falcon. The Orange County punk band Supernova was perhaps the perfect outfit to craft this ode, as they started out by claiming that they were aliens from the distant planet of Cynot 3, a race noted for their searches for vast quantities of tin foil. Galaxies far far away aside, “Chewbecca” underlines the overarching Clerks theme. If we’re obsessed with popular culture epics like Star Wars, at least we’re not the only ones (see: Star Wars Week), as whole songs have been written about secondary saga characters like the most famous Wookiee ever. Just like Randal and Dante, we can happily debate the merits of Empire versus Jedi until the end of time—or at least, until the next round of sequels.